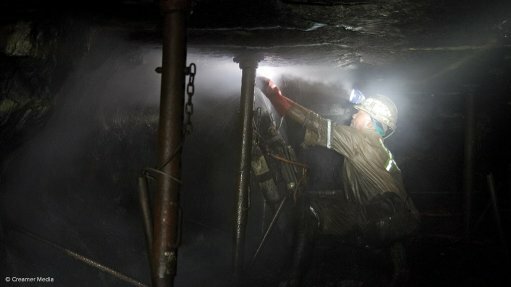 VANCOUVER (miningweekly.com) – The public disclosure of hundreds of reports detailing payments to governments by Canadian extractive companies heralds a new era of transparency for the mining sector, nongovernmental organisations (NGOs) working closely with the country’s Extractive Sector Transparency Measures Act (ESTMA) say. The reports, filed with Natural Resources Canada (NRCan) and posted on its website, have been made available owing to the implementation of the ESTMA, which requires all Canadian registered and listed extractive companies to disclose payments in excess of C$100 000 made to governments, creating greater transparency over the taxes, royalties and other forms of disbursement that companies pay. The act was championed through an innovative collaboration with Canadian mining industry associations, NGOs and the Natural Resource Governance Institute (NRGI). Publish What You Pay (PWYP) Canada welcomed the first reports being made public following the May 27 deadline for filing reports for the 2016 financial year. “With more than 1 200 Canadian-listed extractive companies operating in over 100 countries, the disclosure of payments in Canada will increase the transparency of the extractive sector globally. These new reports will also provide meaningful data about payment flows to federal, provincial and territorial governments in Canada, where this information has previously not been available to the public in a systematic way,” PWYP Canada director Claire Woodside told Mining Weekly Online during a telephone interview. She said a great deal of analysis will now follow as several NGOs digest the significant amount of data disclosed on an individual company basis. “While it is still too early to comment on particular disclosures, there are some interesting reports regarding miners’ tax-haven subsidiaries, as well as disclosures of significant tax refunds received by miners in foreign jurisdictions,” she pointed out. According to Woodside, NRCan published the reports on its website following a brief compliance check. Interestingly, about 1 100 companies applied for reporting numbers with NRCan, but only about 650 reports have been published to date. The discrepancy could be because some miners do not meet the minimum C$100 000 payment threshold to trigger a reporting requirement. Mining Association of Canada (MAC) VP of sustainable development Ben Chalmers is also following the publication of these reports closely, and he tells Mining Weekly Online he is optimistic that the reports will form the basis to have factual conversations with the tax bases of various jurisdictions to demonstrate the contributions the industry makes. “It is a bit too early yet to spot trends, as the bulk of the reports have only just become available, but the database will go a long way, in conjunction with the Corruption of Foreign Public Officials Act, to combat corruption and keep governments more accountable,” he said. Chalmers cited numbers available in the MAC’s ‘Facts and Figures 2016’ report, pointing out that, in 2012, (the most recent year in which data are available) the mining industry, including oil sands mining, paid an estimated C$6.6-billion to federal and provincial/territorial governments. This comprised C$3-billion in royalties; C$1.2-billion in corporate income tax; and C$2.3-billion in personal income tax. About 40% of this amount went to the federal government and 60% to provincial/territorial governments. The inclusion of the fourth stage of mining (closure and decommissioning) would add another C$1.9-billion to the amount industry paid governments in 2012, bringing the total to C$8.5-billion. It is also worth noting that the oil sands industry pays the Alberta government large sums, as high as C$2-billion in some years, in the form of land sales payments, according to the report. “Transparency is a necessary but not sufficient step in improving natural resource governance. The next step is for host country governments, civil society organisations and other stakeholders to analyse the data reported, to compare across extractive sites and jurisdictions. In doing so, people can find problematic tax arrangements, potential cases of corruption and other worrisome aspects of regulation,” Engineers Without Borders Canada interim advocacy manager Sasha Caldera tells Mining Weekly Online. “For example, Engineers Without Borders is participating in the data extractors programme as part of PWYP International, where a grouping of municipalities will be contacted in an effort to understand whether they can corroborate payment amounts that were disclosed by oil companies,” he says. Caldera argues that the added reporting burden on companies is not significant. “Today, transparency is the norm and, thus, [reporting] must be viewed more as a cost of doing business than a burden. Extractive industry companies are losing hundreds of thousands and in some cases even millions of dollars every week due to social conflict resulting from problematic taxation and spending of natural resource revenue. This type of information is critical to support a transparent policymaking environment where all stakeholders can have a seat at the table, and to prevent conflict that will ultimately cost mining companies money,” the analyst explained. The publication of these reports is part of a much larger movement towards increased transparency. These reports are helping the global mining industry move towards reporting for every project or operation a mining company has. “This is vital as only when reporting is done in a disaggregated way can stakeholders use the data properly. At Engineers Without Borders, in addition to supporting this through being a member of PWYP, we are also doing this on the issue of procurement with our ‘Mining Local Procurement Reporting Mechanism’, being released at the end of June,” he pointed out. Meanwhile, NGO Oxfam is poised to delve into the reports to better understand their contents. “Our global partners are looking forward to examining these reports more closely. Many communities are impacted by large-scale Canadian resource extraction projects, but lack critical information about the revenues flowing to governments from these projects. Citizens want to know if their countries are getting a fair deal,” Oxfam Canada head Ian Thomson stated. In the coming months, PWYP Canada, with the support of NRGI, will work to create a central database of the reports, in addition to analysing individual reports and raising awareness about the reporting more broadly. “Transparency in the natural resource sector is critical to accountable resource governance and to evidence-based policymaking. With these reports, Canada is leading the way to a more transparent and accountable global resource sector,” Partnership Africa Canada programme analyst Kady Seguin added.